By Nat Robinson on May 21, 2015 in Small Business Tips. You’re out there on the road, somewhere between a sales call and a pit stop. Driving while you work, working while you drive. It’s not easy but someone’s got to do it. To make the miles tick by a little more smoothly, we’ve collected an assortment of amazing gadgets that’ll keep you happy, productive and safe as you travel to drive your business from one success to the next. Enjoy! In the US alone, an estimated 50 billion plastic bottles are dumped in landfill sites each year, and over 200 billion globally. 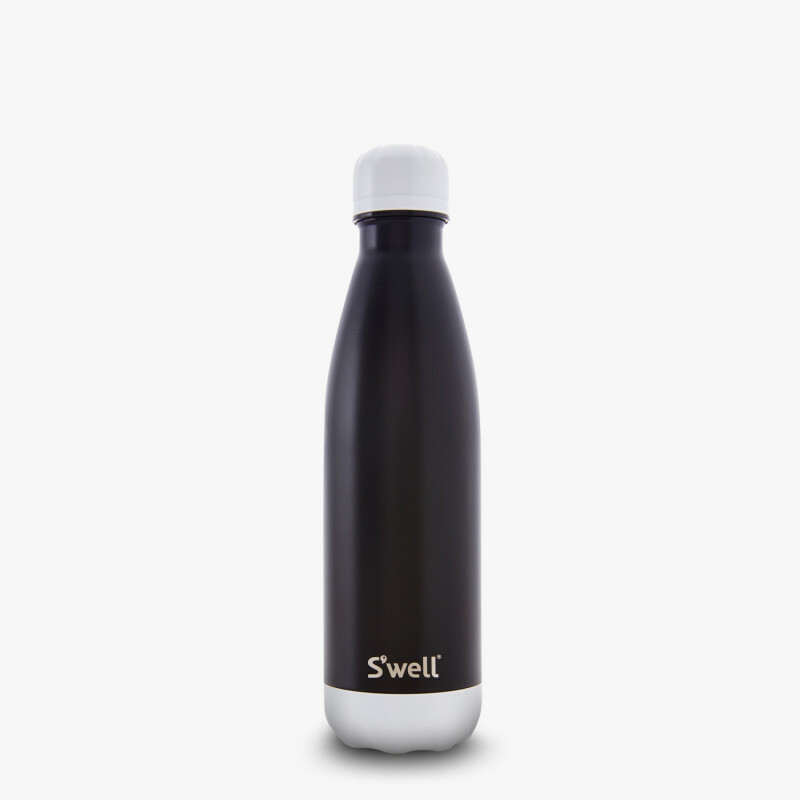 By using a S’well bottle, you are reducing the number of plastic bottles in landfills and oceans, and supporting charity partners and the company’s efforts to bring clean water to the world’s poorest communities. It’s also a beautifully crafted bottle that keeps drinks cold for 24 hours and hot for 12, all without sweating in your hands or becoming too hot to handle. The bottle comes in a variety of colors and patterns to match your car interior, your personal style or both. Best of all for road warriors, the bottle fits a standard size cup holder. Woot! For the best deal, buy it on the Swell website. If you have a treasure trove of pens, coins, gum and other unidentifiable items under your car seat (and who doesn’t?) then the Drop Stop Car Wedge (As seen on ABC’s Shark Tank) is for you. The DSCW’s simple, one-size-fits-all design makes it the perfect accessory for any road warrior. It stops items from entering the “Carmuda Triangle” by blocking the space between your car seat and the center column in your car. The DSCW is made of high-quality neoprene which means you can wash it when needed. Perhaps the best feature of the car wedge is safety (20 percent of injury crashes in 2009 involved reports of distracted driving. (NHTSA). Catching your essential items means you won’t be fishing around for that pen / cell phone / important thing you just dropped, and can keep your eyes on your fries… eyes on the road. Definitely on the road. For the best deal, buy it here. Holding your phone while driving is a big no-no. So where do you put your phone while you’re in the car? Dashboard, no, too slippery. Passenger seat, no, too far away. Cup holder, no, that’s where coffee goes! Enter the Kenu Airframe, the answer to where should I put my smart phone while in the car. The Kenu Airframe comes in two sizes, Airframe, for regular sized phones and Airframe+ for phablets. Airframe attaches to any car vent with their patent-pending rotating clip. Your phone then slides into the steady grip that easily adjusts to hold your phone in place. Your device sits at eye-level making it perfect for GPS directions, hand-free calls, streaming music, etc. The Airframe is lightweight, which makes it great for people who travel and want something they can use across vehicles. Just remember to take it with you when you go. While many things have become digital, most days printing something still seems unavoidable. If you’re on the road and want to print a job order or invoice you need something portable but effective. 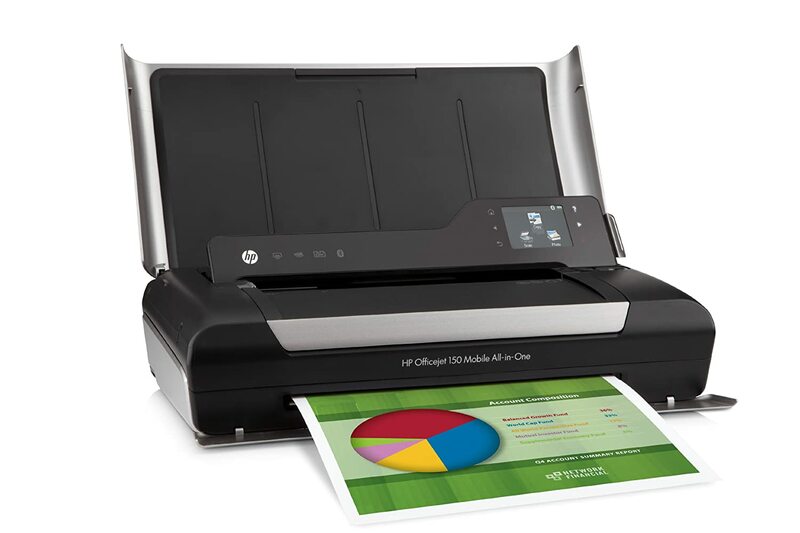 Our recommendation is the HP OJ150 Mobile Wireless Color Printer and Copier. You can print wirelessly from your smart device using a Bluetooth connection, it comes with a lithium ion battery that lets you print up to 500 pages on one charge. It scans, it copies and prints up to 22 pages a minute at laser quality. You pretty much don’t want to hit the road without it. #1 You can get a credit card reader and software for free. #2 Square reader works with iOS and Android devices. #3 You get your money within 1 or 2 days. #4 Square only takes 2.75 percent as a transaction fee (and there are no other costs). #5 Your transaction information is protected with bank level encryption. Setting up Square is ridiculously easy – you just download the app, sign up and plug in the card reader. You can accept all major credit cards with Square and it even works when you’re not connected to a network. Receipts are emailed to customers and Square integrates with accounting software packages like Quickbooks and Xero so you can get all your transactions into the accounting package you already use. It’s a plug-in device coupled with an app. Together they form a system that improves your driving, saves you money and makes you safer. Setting up Automatic means plugging the car adaptor (the Link) into your car’s diagnostic port (the same one your mechanic uses). It then links via Bluetooth to your phone which means all your car data can now be analyzed by the app. The Link can emit sounds that tell you when you’re driving in a way that is expensive, like accelerating too fast or braking too hard. These are the things that will increase your gas and maintenance costs and can add up to thousands of dollars every year. Your Automatic Link can tell when you’ve been in an accident and work with your phone to alert loved ones and emergency services. It can even tell you where you left your car and help you get back to it. It doesn’t yet bring your car to you – we wish! Automatic also includes a beautiful dashboard where you can get insights into your driving habits and routes. If you’ve ever watched a driving montage on Youtube then you’ll know how popular dash mounted car cameras are becoming. Whether it be for insurance, security or entertainment purposes, the GoPro Hero range of cameras fit the bill and have a variety of mounts to let you affix the camera to your ride. The award winning Hero cameras capture footage in HD, are super easy to use and waterproof up to 130 feet. Let’s hope that doesn’t happen while you’re in your car. Life Hammer is the gadget that everyone should have and you hope no one will ever need. 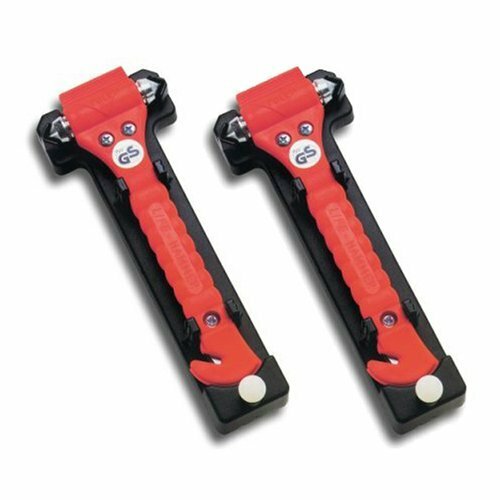 It’s a dual purpose tool that helps you escape from a vehicle by cutting jammed seat belts and breaking car windows. It goes without saying that this tool needs to be readily accessible in the event you need it and fortunately it comes complete with a bracket to mount to your dash and a fluorescent button to help you find it in the dark. If your job related driving involves any kind of traffic then keeping track of your blood pressure might be a good idea. The Withings Blood Pressure Monitor is blood pressure monitoring made simple. Just slip on the cuff, turn on the Wireless BP Monitor & the Health Mate app and you’re ready to take your blood pressure. The app stores all readings, syncs with Withings Health Cloud and displays an easy to understand chart. You can visualize stats on your iPhone, iPod touch or Android device, as well as on your online dashboard. The app gives an instant color feedback based on the National Health Institute standards for a quick and simple grasp of measurements – and you can easily share your measurements with your doctor. Of course if being on the road is getting you steamed, pull over, take a break and remember to breathe. You don’t want to blow a gasket. For the best deal, buy it on the Withings website. Plugs into your 12V vehicle outlet for plenty of power to pick up gravel, dirt, crumbs, etc. Allows you to vacuum from almost any angle and in hard-to-reach spaces. Clears debris from filter to improve suction. Prevents dust from escaping into the air. 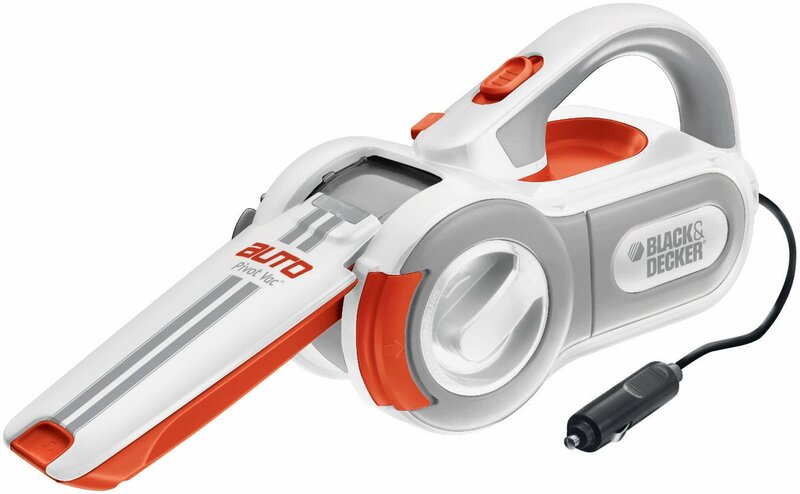 Comes complete with crevice tool, upholstery brush, flexible hose, washable filter and storage bag. Vacuuming your car may not be your favorite activity but it’s better than your clients seeing what your kids do your car over the weekend. Right?